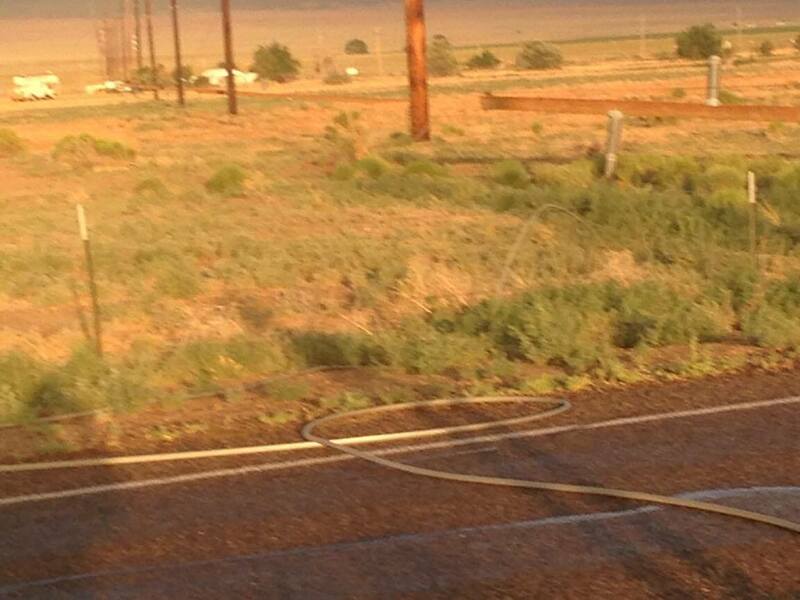 CEDAR CITY – A small, powerful microburst combined with rain and strong winds snapped 12 power poles in half leaving 2,318 homes without power in Beaver County Monday night, authorities said. The short-lived storm, with winds reaching higher than 55 miles per hour, also shut down state Route 21 at milepost 78, said Utah Highway Patrol Trooper Eldon Godfrey. Traffic is currently being rerouted on a side dirt road off the main highway back on to state Route 121. Due to the rural location of the area, Godfrey said there are no traffic delays. While the power poles that snapped were located on both sides of the road, no one was injured when they dropped, said Beaver County Sheriff Cameron Noel. 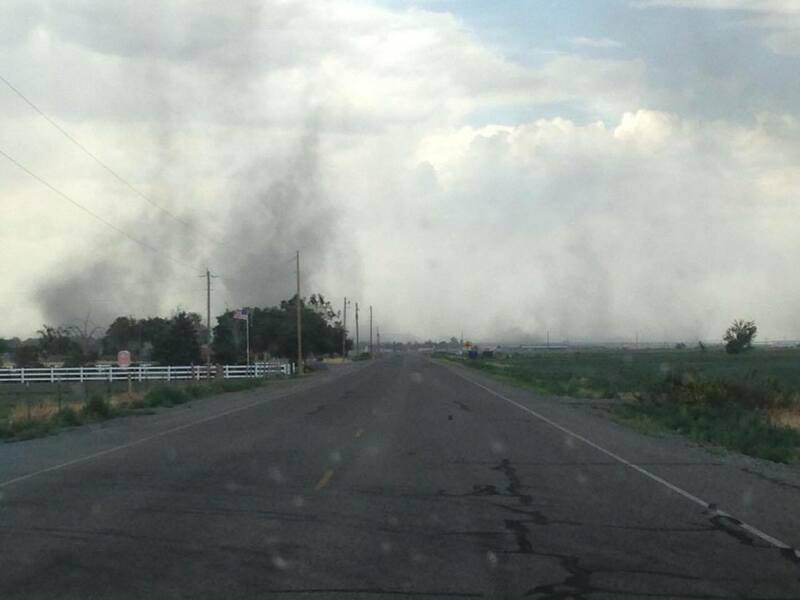 Power was reported out at around 5:30 p.m. Rocky Mountain Power Spokesman Dave Eskelsen said. By 8 p.m., the company had restored power to 1,385 customers. The other 933 however, may remain in the dark for at least 12 more hours and up to 24 hours as employees work to get the power lines fixed. Traffic will continue to be rerouted during this time. 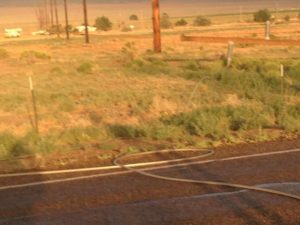 The power lines, located next to a substation, went down about a half a mile from milepost 78. “They are major power poles,” Godfrey said. Meteorologist Mike Seaman with the National Weather Service in Salt Lake City said the weather station at the Milford Municipal Airport reported winds at more than 50 miles per hour. However, the winds could have possibly reached more than 60 miles per hour, he added. Seaman explained a microburst as a downdraft that is a sudden downward burst of wind produced in “high based thunderstorms.” The wind in these storms moves in the opposite direction of a tornado but in some cases can actually be more powerful than a “weak tornado.” They are generally short lived.